This ongoing class is currently offered every Wednesday and Thursday from 1:30 - 4:30. 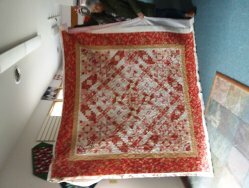 More advanced quilt blocks, techniques and patterns will be taught. 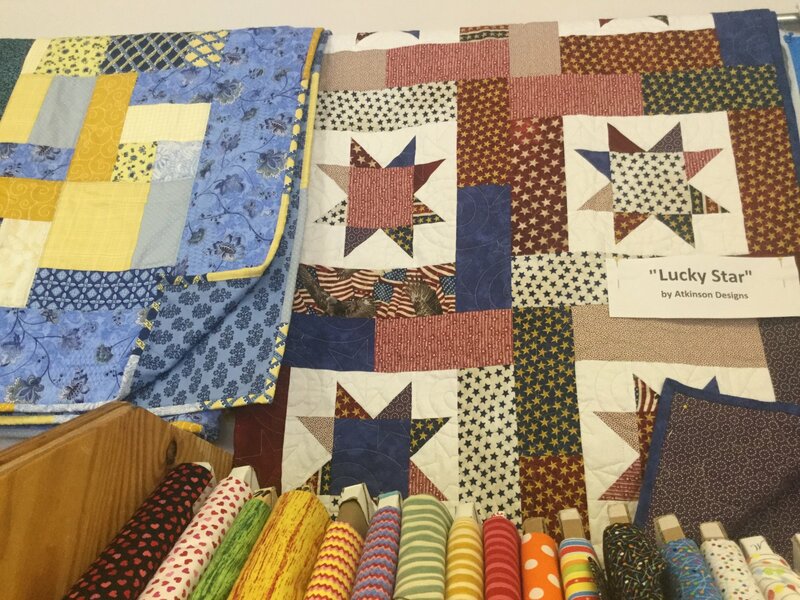 Strip piecing, nine patches, quick pinwheels, the Log Cabin block, half square triangles, flying geese, and fussy cutting are some of the blocks/techniques that will be introduced and accompanied by appropriate projects for extra practice. Student requests for additional projects and gift ideas are encouraged and always welcome. Students proceed at their own pace with approximately four weeks needed per new lesson. Please feel free to join in for the blocks you wish to learn. You can call the shop on Wednesday and speak with Karen to see what the current project is. Cost is $10 per weekly meeting. Fabrics and most patterns are extra. There is a maximum of four students per class. Please bring sewing machine, owner’s manual, quarter inch foot, walking or even feed foot, pins, usual tools and current project each week. Don't forget your supply of chocolate! Starting March 20, we will be covering half square triangles. Requirements: Please bring current project and machine to each class.